It’s about time juicing met boozing. 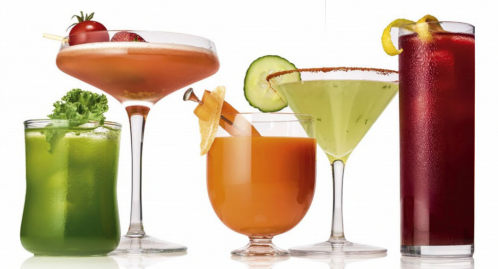 Vegies have fast become a new favourite among bartenders for the earthy notes and nutrients they bring to mixed drinks. Treat yourself to one of the blends below for a twist on your usual cocktail; it’s up to you whether you juice your own produce or go with a bottled version.